This event took place at 08:00PM on 14th June 2018. 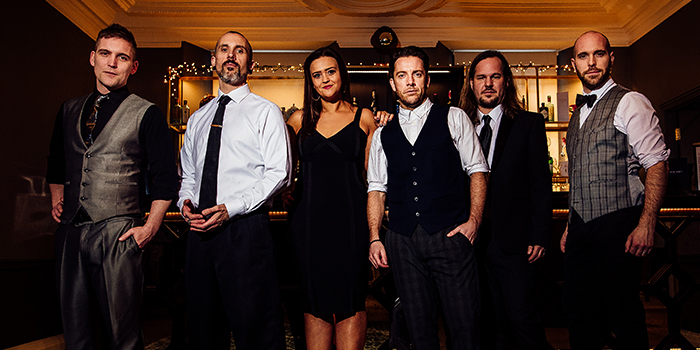 Celebrating their 10th Anniversary Bloomfield Avenue are the UK’s ultimate party band and are inviting you to come and party with them and some very special guests. This amazing group have musicians and performers that have appeared in west end shows such as Jersey Boys, Mamma Mia, We Will Rock You, Beautiful, Shrek, Jesus Christ Superstar, the list is endless! With appearances at some of the greatest venues in London including The Dorchester, Café De Paris, London Hilton, Wembley Stadium, The Landmark Hotel and boast clients such as Coca Cola, The FA to name a few. There have been thousands of people wowed with this group’s performance. A night guaranteed to get you up dancing and singing along with music spanning across all decades up to present day! If there’s one date in June not to be missed, it’s this! So come a long and join in the birthday celebrations, there may not be any jelly and ice cream, but there will be some incredible music.